Order Desk can send your orders to MWW on Demand (MWW). 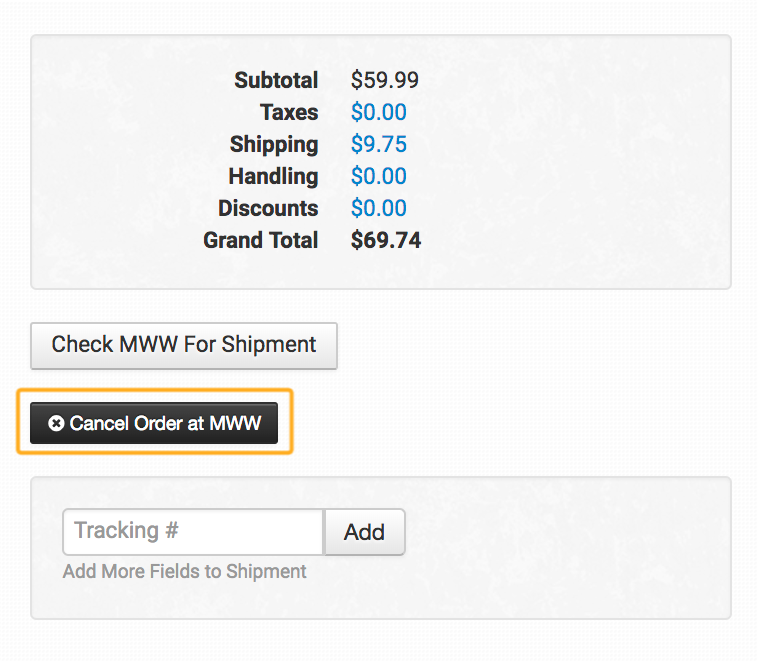 As MWW fulfills your orders, the shipment info will automatically be added to your orders in Order Desk and, if your store is set up for it, sent back to the original shopping cart. This guide will explain how to set up the MWW integration in Order Desk and give an overview of the different settings and features of the integration. To connect your MWW account to Order Desk, click on Manage Integrations under the Integrations menu in the left sidebar. Under the Print on Demand tab, find and enable MWW. Enter the API credentials MWW assigned to you and click to connect. Your API credentials from MWW will be separate from the username and password you use to login to MWW. The username and password needed to connect the integration will be provided to you directly by your MWW sales representative. If you see this setting, it means you would have connected to the integration before this method was an option with MWW. Get your Customer API Key from MWW, drop it in here and save your settings. When we switch our integration over to their new connection method, your connection will not be interrupted. Once entered, this setting will disappear. Select the default mail classes you want MWW to use for your orders. The shipping method chosen here will be used for all orders where the method on the order does not match any of MWW's shipping method names. If you need to apply specific methods for certain orders, match your method names to MWW's names in the Shipping Class Match section below. Select the ship type for your orders. In most cases this should be set to Mail to Home unless your MWW rep has instructed otherwise. If you have a UPS, FedEx, or DHL shipping account that you want MWW to use for your shipments, enter your account number in this field. If you are shipping on MWW's account number, you do not have to enter anything here. If you have a USPS account number, you do not need to enter it in this box. This account number is already linked to your account. Select the folder you want orders to be moved into after they are sent to MWW. If you want to use a custom folder, create your own from Store Settings. Read the Working with Folders guide for more information. Select the folder you want orders to be moved into when MWW sends shipment details back into Order Desk. Select the folder you want orders moved into if they are canceled at MWW. Take this notification URL and drop it into your account in MWW. They will use it to connect to your Order Desk account and send shipment details back to your orders automatically. Select Enabled, Received and Shipped. If you have more than one MWW integration set up in Order Desk for the same MWW account, you will need to setup notification URL redirects following the instructions in the next section. 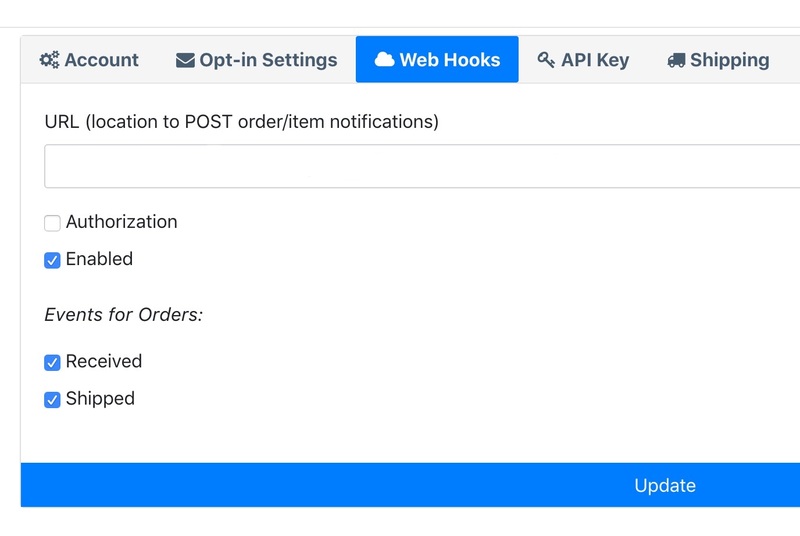 If you have MWW connected to more than one Order Desk store for the same MWW account, instead of adding the notification URL for each connection to MWW, add any additional notification URLs from other connections to your primary account. To add these, click on Setup Redirects. Add one URL per line. When MWW ships your items, these redirects will help the shipments find their way back into the Order Desk store the orders came from. Orders will either be in live or test mode based on this setting, however, if your store is live you can still send a test order to MWW. This needs to be done using OrderType|test set as either metadata or checkout data on the order. For more information on how to set this up, please scroll down to the Preparing Orders section below. Set the return address that MWW should use on your shipments. If you need to customize the return address for certain orders, you can save different return addresses to your Store Settings and then use a rule to set the return address to specific orders. If a return address is not added to the order, the default address set here in the MWW settings will be used. For more information on what these product settings within the MWW integration are for, please read the Print on Demand Product Settings guide. The shipping methods that you have set up in your shopping cart(s) may not match the methods that MWW uses. To make sure your shipping preferences are sent through to MWW with each order, match your methods to theirs in the shipping class match feature. If matches aren't made, MWW will use your default preferences set above. Because MWW has some unique requirements to be able to receive and print your orders, certain information about each item you send to them will need to be stored with your item here in Order Desk and synced into your order before you can send any orders to them. For a full walkthrough on how to set up your products and your store to send orders to MWW, please read through our Print on Demand Fulfillment Guide. We'll briefly go over the info here with a few details specific to MWW. Don't hesitate to contact Order Desk support if you need help getting started. Every print on demand item should be stored in your Order Desk inventory. 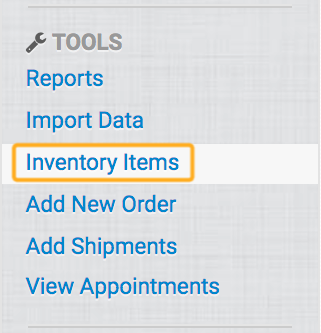 You can see your inventory items in Order Desk by clicking on Inventory Items under the Tools menu in the left sidebar. Setting the inventory's Location is recommended so your orders can be split as necessary when not all items in an order are going to MWW. 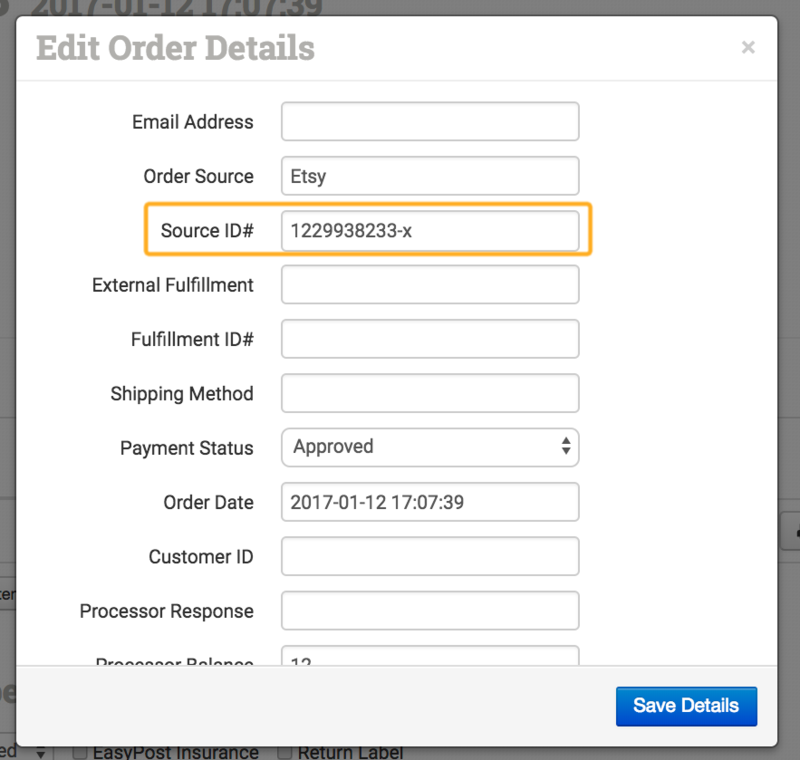 Your Code/SKU should match what you have set up in your shopping cart so the metadata fields will sync into your orders when they come into Order Desk. The Location field does not have to say MWW, but whatever name you choose to use here, such as manualww, should be consistent on all of your MWW products. OrderType new, test, redo, or reorder. By default it will be new or test based on your live mode setting on the Order Desk setup page. PackingSlip Link to a packing slip PDF file you would like MWW to print and include in the package. For more details, see this guide. ProjectCode Reference number for you to track a set of orders. OrderGroup is also accepted here. ProjectShipDate Reference date when you want these orders to be shipped by. Actual ship dates are determined by the SLA. PONumber The PO Number will be sent to MWW as the Order ID. While it is possible to use redo, we do not recommend it because we won't be able to get details about the shipment after the order has shipped. Once an order has been canceled, if you need to resubmit it to MWW, you must change the order number first. Read the Resubmitting Orders section below for instructions. If it has already been more than a minute or two since the order was sent to MWW, this button will not cancel the order. You must contact MWW directly to cancel the order. This button is only meant to immediately cancel an order that was just submitted. If you need to resubmit an order to MWW, the order number will first need to be changed so MWW doesn't reject what they will think is a duplicate order.